As a student studying abroad, you have a lot on your plate. Learning the customs of your destination and trying to find housing can be stressful. 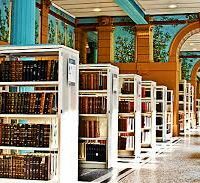 If you are ever studying abroad in Paris, ParisByM has compiled a list of things to keep in mind when looking for student housing in Paris to make your search a bit easier. 1. Research all types of student housing in Paris. It’s important to research and keep an open mind to all different options for student housing in Paris. Many students enjoy living in locations that resemble student dorms, such as the Maison Internationale d’Accueil. Other students like to sign a lease with Parisian apartment companies, such as Comforts of Home (pictured to the left). These companies offer single and shared furnished apartments for a low price. Many families in Paris also offer housing to students in return for nanny services. This provides students with the ability to live with locals and practice their French. 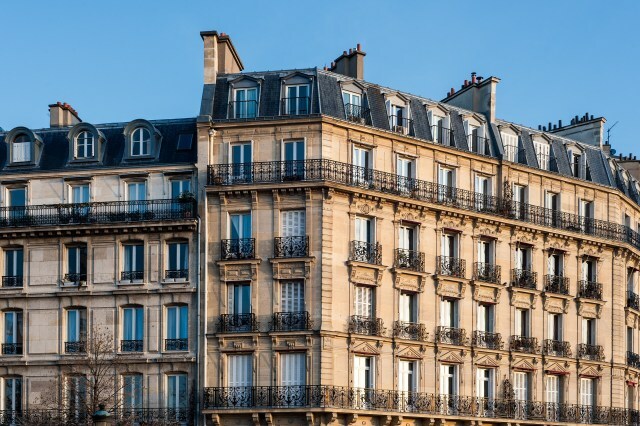 There are multiple apartments for rent all across Paris, but you will want to make sure to start your search and secure your apartment way before your studies begin. While hunting for your ideal student housing in Paris, it would be best if you research multiple platforms to find the best place to live. You can research online, in newspapers or magazines, you can contact people you may know currently living in Paris, ask on study abroad pages and blogs, or ask your school’s study abroad office for help. Each option offers different prices and locations that best fit your budget and needs. One source we don’t recommend using are rental agencies. Rental agencies in Paris can be expensive. They often have fees that are equal to one or two months’ rent. If you do decide to pursue an agency, make sure to ask questions and understand all the expectations of your agent and make sure they fully understand your needs and wants in your housing. While researching possible places to live, make sure to note what paperwork is required for each location. For example, if you’re a student renting an apartment you will need important paperwork, such as a letter from your guarantor in French. Make sure you acquire all these documents beforehand to make the overall process much easier for both ends. 3. Keep an open mind to the size and location of your housing. Paris is a city with over 2.2 million people. Since there are many people living in one specific area, sometimes it can be difficult to find spacious homes throughout the city. 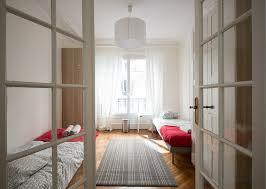 Most Parisians live in apartments because there is no space to have a house near the city center. Some people are lucky to have a house inside Paris, especially in the 16th, 17th, 18th and 19th district, but there are only a few. With that being said, when you are on the search for your student housing in Paris, it is important to make sure you pick the right size for your apartment. The majority of apartments in Paris, especially near the city center, are pretty small compared to apartments in other countries, such as the USA. The small apartments might not seem ideal at first, but make sure to keep an open mind because this is just another part of adapting to the new culture you are entering. Eventually, this small apartment will become your home and you will find ways to make it feel cozy and homey! If you are torn between two different housing locations, it’s a good idea to research the surrounding areas. Depending on your interest and needs, many times the proximity of grocery stores, public transportation, museums, libraries, etc. can be the determining factor of where you want to live. So, make sure to check out what the surrounding neighborhood has to offer! This will make your options clear and choosing your housing will be a piece of cake!